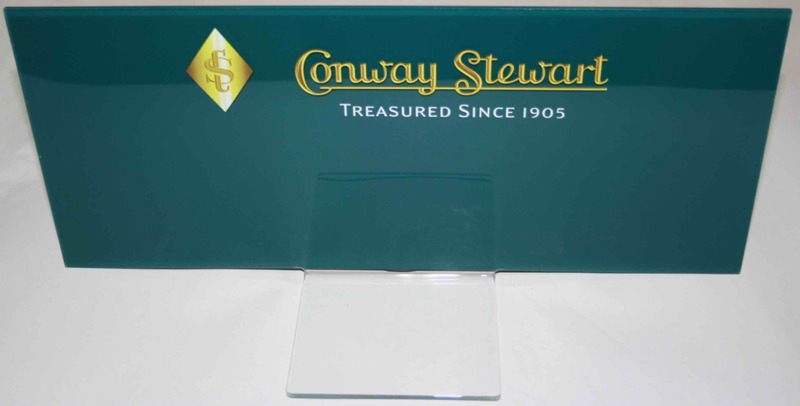 Wooden display plinth -expands to 600 mm wide. 400 mm deep. $150 + GST. Two available. 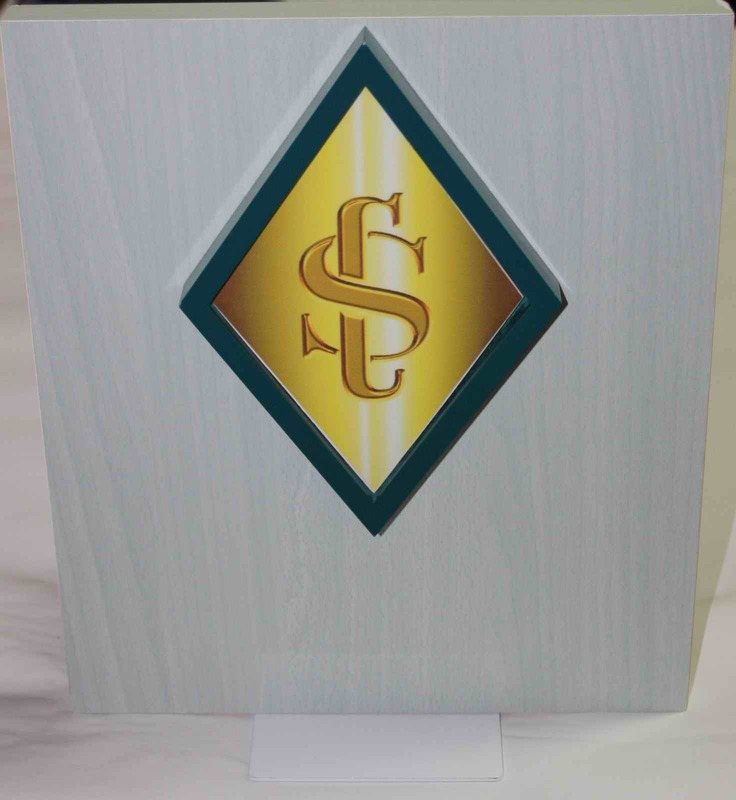 Wooden display logo. A4 size with metal stand. $65 + GST. Two available. 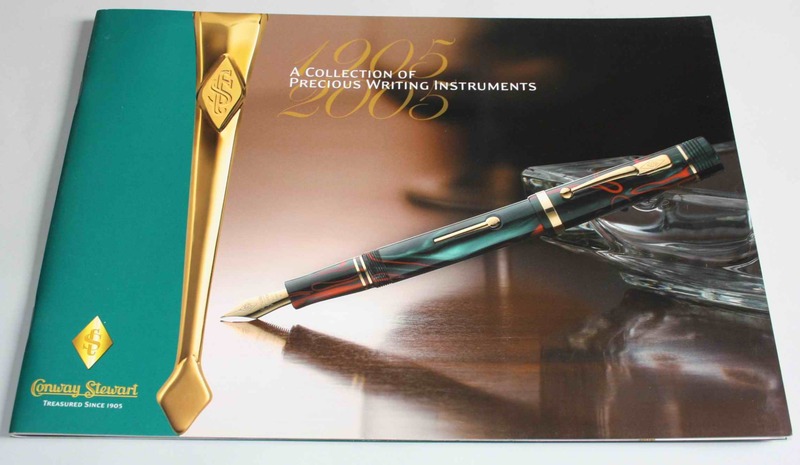 2005 Centenray Colour Catalogue . $30 + GST. 10 available. 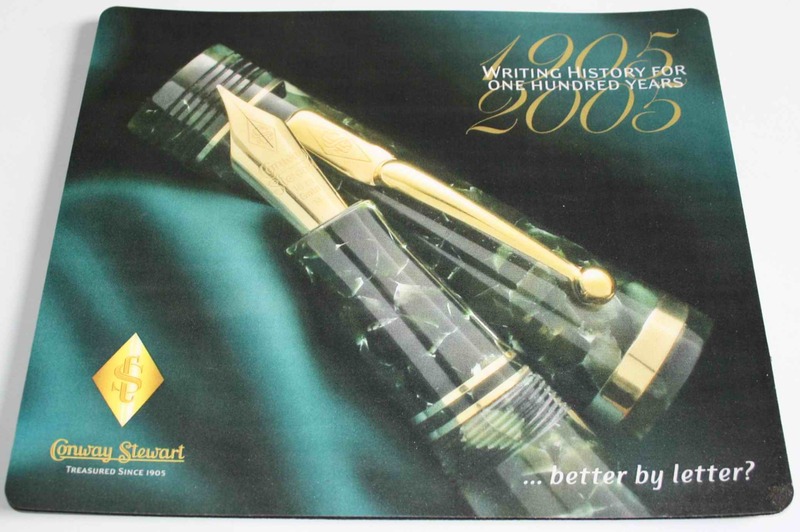 Centenary Mouse Mat. $10 + GST. 10 available. 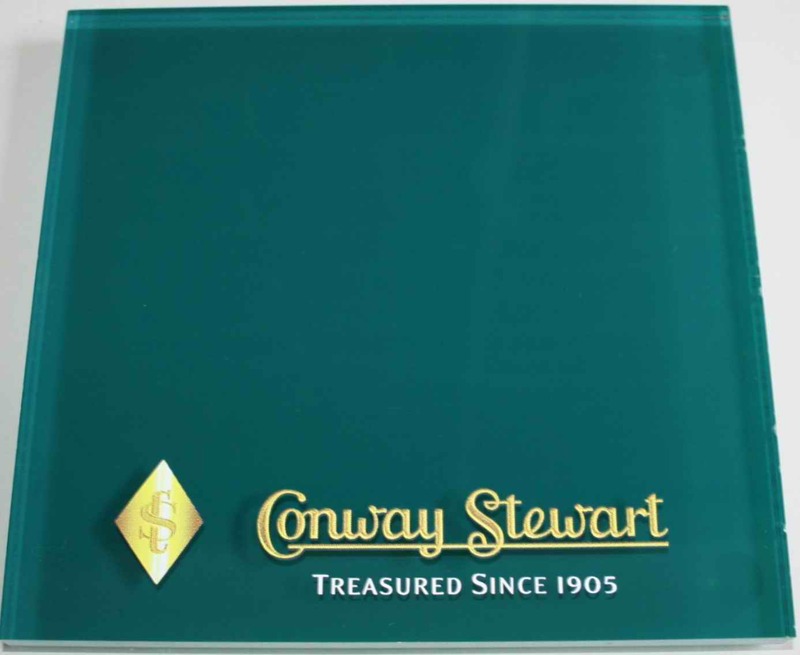 Conway Stewart Ink Presentation Box. Takes three or five bottles. $30 +GST. Four available. Perspex display plinth on plastic feet. 320 mm by 160 mm. $45 + GST. Eight available. Perspex display plinth on plastic feet. 160 mm by 160 mm. $30 + GST. Six available. 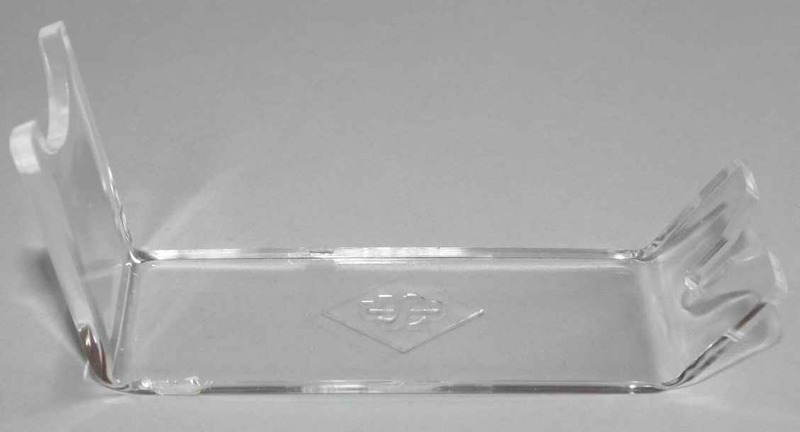 Perspex fountain pen display stand with CS logo on base. $5 + GST. 150 available.